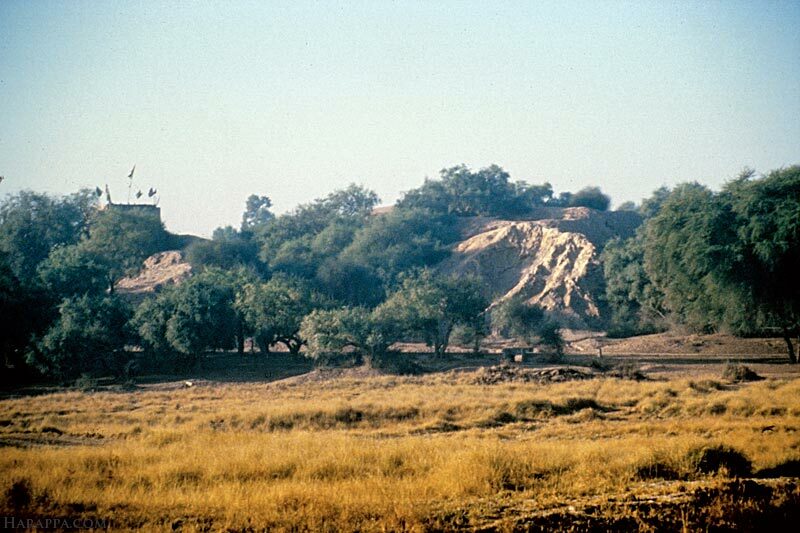 The high mound at Harappa (Mound AB) is surrounded by a massive mud brick city wall with large square ramparts. One of these eroding ramparts is visible through the underbrush that now covers the site. The flags mark the tomb of a Muslim saint that was built on top of the ancient city wall thousands of years after the city was abandoned.